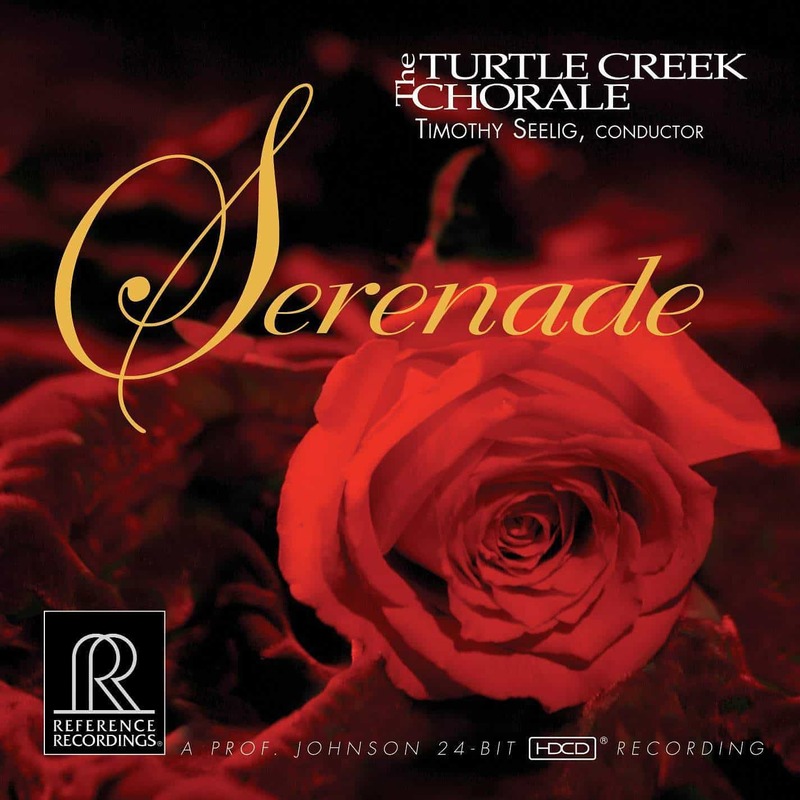 The Turtle Creek Chorale, America’s finest male chorus, has a long history with RR. 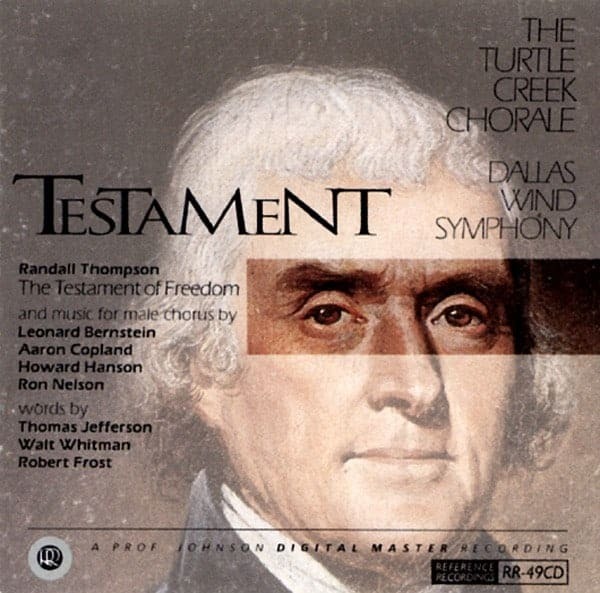 Starting in 1992, they gave a spine-tingling performance of Randall Thompson’s Testament of Freedom, and continued with four more critically-acclaimed CDs including one of RR’s all-time best sellers, the Requiem by John Rutter. 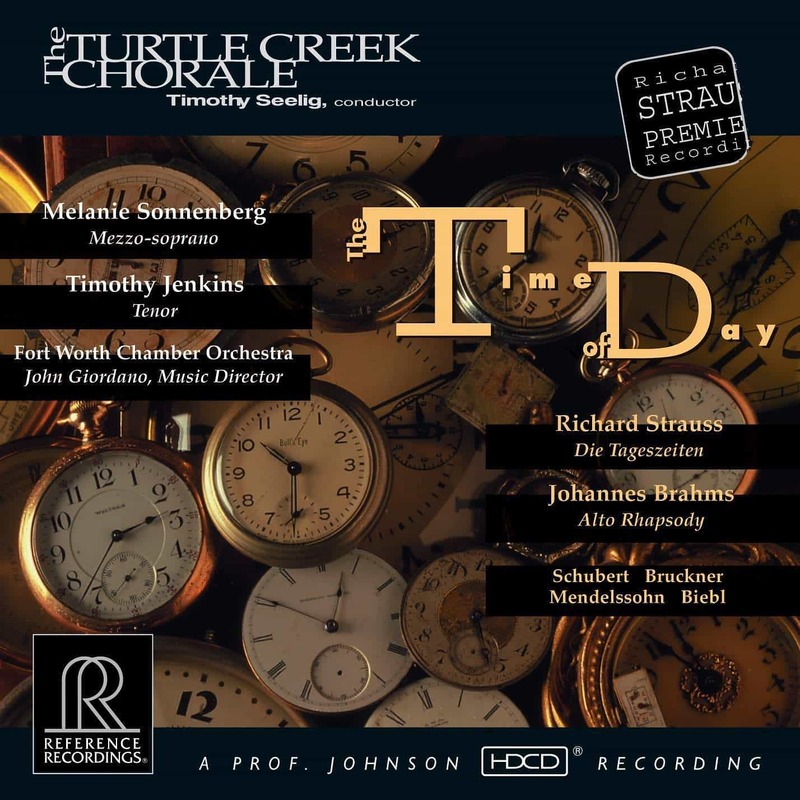 The Chorale’s long-time conductor, Dr. Timothy Timothy Seelig, recently announced his retirement, and expressed the wish that he could make one more recording with RR. 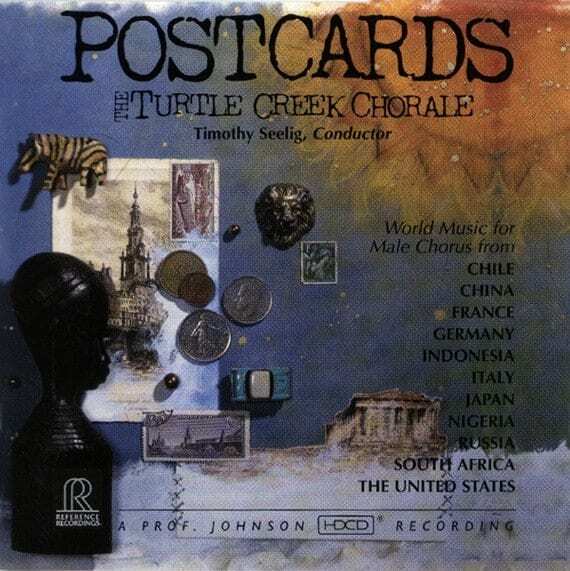 The result is SERENADE, and Dr. Timothy Seelig says he could have no finer going-away present. Included are selections by some of today’s most popular living composers, such as Morten Lauridsen, John Rutter, Eric Whitacre and Stephen Paulus; and beloved classics by Schubert, Brahms and Caccini. A particular highlight is “Nella Fantasia” by Ennio Morricone, adapted from his film score The Mission. All are delivered with “loving kindness,” passion and precision, many accompanied by an ensemble of strings and oboe. 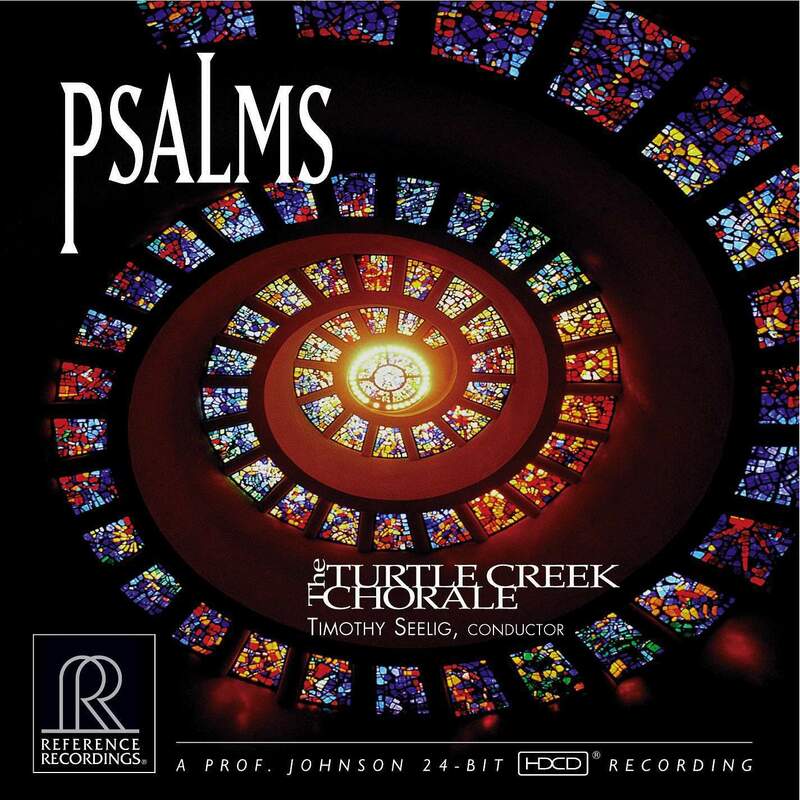 The HDCD recording was made by “Prof.” Keith Johnson in the superb, spacious acoustics of the Meyerson Symphony Center in Dallas, Texas, venue of all the critically-acclaimed Chorale recordings on RR, and many by the Dallas Wind Symphony. Musically and sonically, SERENADE is destined to become one of RR’s most admired productions.